Please read entire instruction of us before use. Can be used daily or as often as needed. 1) Shake it well before use to activate small biomolecules to release fresh energy. 2) Kep eyes closed, spray 5cm away from the noses. Please store in cool and dry place without direct sunlight. Store at room temperature. ● Do not use after opening for 3 months. ● Shake well before use, the precipitation in the vial is a normal phenomenon. ● If skin is subject to allergic reactions, please stop using and consult physician if needed. ● Avoid contact with eyes. If it does, please rinse immediately with water and consult physician if needed. ● For external use only. SDTL® Smooth Breathing Mist is a homeopathic combination of herbal extracts that work synergistically to relieve nasal congestion, nasal dryness and nasal allergic symptoms. The simple spray design is convenient, it is effective to apply around the nose area directly. Target problem: Respiratory discomfort, nasal itching, nasal congestion. Function: Nourishing nasal cavity, soothing nasal sensation, smoothing respiratory tract, improving respiratory health. (Our website is available for purchase from customer in Hong Kong only. Main Ingredient: Boswellia Extract – The frankincense scent helps to calm emotions and relieve anxiety. In addition, it regulates blood circulation, soothes symptoms of respiratory discomfort such as nasal dryness, running nose nasal, itchy and dry throat, etc. ✽ All Pure, Natural and Wholesome ingredients only. ✽ No Sythetic Chemicals, Coloring or Fragrances. ✽ No Animal Derived Ingredients or Animal Testing. I have been using SDTL® products for 4 years. I was still a full-time nurse and had to complete my sports training in the mornings, which made me very tired. It was not until I continued using SDTL® Energy Cube® for 2 weeks, I started to feel less tired after sports training, my physique improved and the flu I had was also relieved. Improvement of my physique allowed me to undergo more intensive trainings, leading to great improvements in results and I could even join the Rio Olympic Games in 2016! After using SDTL® Energy Cube®, my skin had been tightened and dark spots are reduced. I also like to use SDTL® Smooth Breathing Mist to improve my condition of nose allergy. My husband, Ka Ho, also noticed that I do not need to breath with my mouth while sleeping at night! 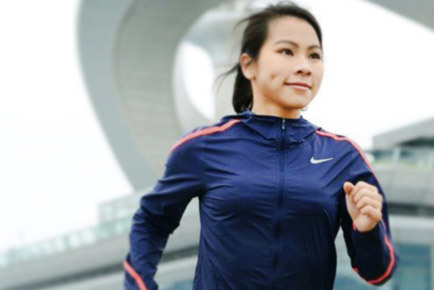 Before I became SDTL® Ambassador, I noticed that my wife, Kit Ching, could run endlessly without getting exhausted after she used SDTL® Energy Cube® and other SDTL® products. Now I know it is so powerful! I had an old joint wound, which gave me pain when I run and could not be effectively cured by various methods. After using SDTL® Join, the wound was finally healed! Intensive trainings everyday make me very exhausted. After using SDTL® Energy Cube®, the feeling of exhaustion is reduced, body strength recovers much faster, leading to higher focus! I also feel happy when my friends said that the skin become smoother and pore sizes become invisibly small! 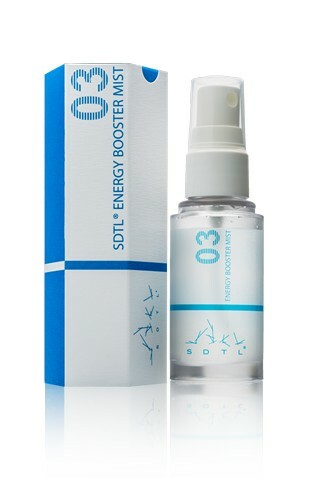 SDTL® Energy Booster Mist is also my favorite. Sometimes when I’m tired outside and don’t have SDTL® Energy Cube®, I would spray SDTL® Energy Booster Mist, which makes me energetic again in less than 5 mins to prepare more new challenges! SDTL® products are natural and have passed SGS safety tests. I have been using SDTL® products more than 3 years, and I have passed all drug tests in international and local competitions where I got trophies. Therefore, I feel completely safe in using SDTL® products.